Mr Lawrence F. Duffany Sr.
Thomaston – Mr. Lawrence F. Duffany, Sr, 79, passed away on Sunday evening, January 27, at his home. He was the husband of Marilyn (Tash) Duffany. Larry was born March 22, 1939 in Torrington, son of the late Lawrence F. and Ruth (Maine) Duffany. Raised in Thomaston, he had attended local schools and was a graduate of Thomaston High School, class of 1957. He had served honorably in the United States Navy on board the USS Theodore Roosevelt (SSBN-600). After his service in the Navy, he had lived in Maryland where he met his wife Marilyn; they then moved to North Stonington and then returned to Thomaston. Having returned to Thomaston, Larry made his home there with his family for over 50 years. While working full-time, Larry raised a family and earned his BS degree from Post College. What defined Larry most, aside from love of family was his involvement in community and veterans’ affairs. He was a life member of the American Legion, Veterans of Foreign Wars, and the Vietnam War Veterans. His leadership roles within the American Legion included responsibility for the American Legion Oratorical Contest and Boys State. He served as Commander of Post 22 in Thomaston, Commander of the 6th District, and Commander of the Department of Connecticut. His love of veterans prompted him to inaugurate the Veteran of the Month program which monthly recognized a deceased Thomaston veteran. He participated in the town’s Memorial Day Committee and served as emcee of the program for several years. In 2003, the Rotary Club recognized Larry’s efforts with their Citizen of the Year. In addition to his wife he is survived by three sons, Lawrence F. Duffany, Jr and his wife Janet of Thomaston, Patrick J. Duffany and his wife Kathleen of Cheshire and Brian K. Duffany and his wife Traci of Thomaston; one daughter, Rebecca K. O’Rourke and her husband John of Southbury; two brothers, Thomas Duffany and John Duffany, both of Thomaston; two sisters, Margaret Stager and Kathleen Chipelo, both of Thomaston; 10 grandchildren; two great-grandchildren and many nieces and nephews. 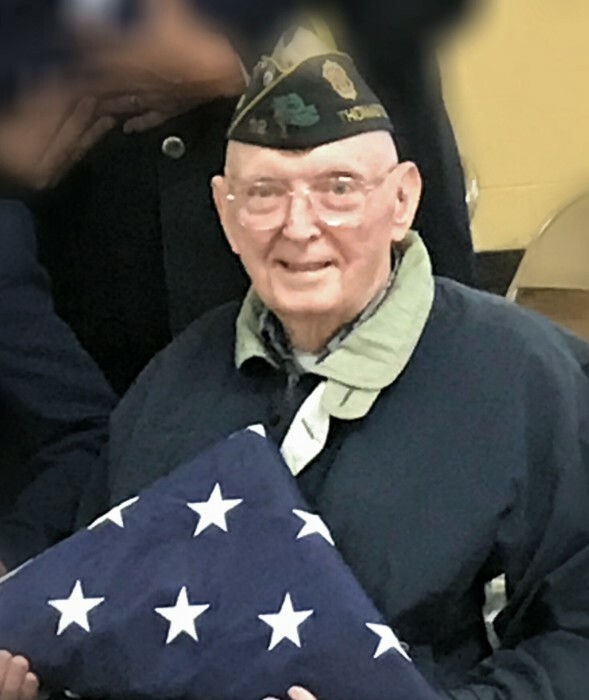 In lieu of flowers, memorial contribution may be made in Larry’s name to American Legion Boys’ State Department of Connecticut through Clifford R. French Post #22, 211 Elm St. Thomaston, CT 06787.